I was tagged by Cristina @My Tiny Obsessions to do the BFF Book Tag (which was originally created by Chantal @CK’s Reading Corner) and it looked so lovely, so let’s not waste any more time. Let’s get to it! 1. SETTING THE EXAMPLE: a pair/group of book bff’s that you love? I have to say all the people from the Anna, Lola and Isla books by Stephanie Perkins. Altogether they are an awesome group with many different and fun individuals where you can be sure to be allowed to be yourself. The picture only really shows the gang from the first book, but whatever! 2. CHILDHOOD BESTIE: Which book character would you like to grow up with? I would have liked to grow up with Cath from Fangirl, pretty sure that our obsessions with books and the likes would have made us really close friends. You always need someone to geek out with about those things! Also, she just generally seems very chill and like she is my kind of girl! 3. FRENEMY: Which book character would bring out your competitive side? Somehow I have the feeling that Harper Price from Rebel Belle would have it in her to really start a competition with me. Not so much in terms of popularity, I won’t even try for that, but definitely grades and stuff like that. She is smarter than people give her credit for. I kind of imagine her like Lydia from Teen Wolf. 4. FASHION GURU: Who would be the bestie whose closet you’d want to raid or would you want to go on a shopping spree with? So difficult!!! I hate shopping, so I guess I am looking for a person I can just steal clothes from … I don’t exactly know why, but I am thinking of Echo from Pushing the Limits now. She mostly wears long-sleeved shirts or jackets, which I like. 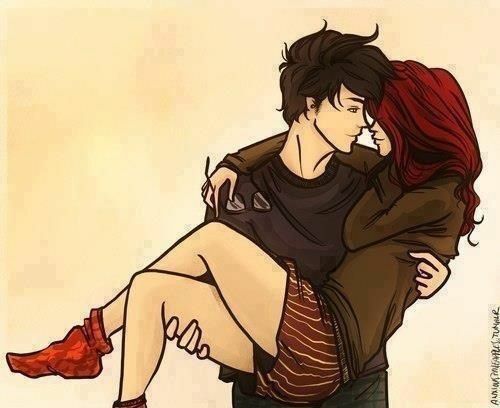 And she wears colours that fit her red hair and I think that I would quite enjoy that pallet as well. 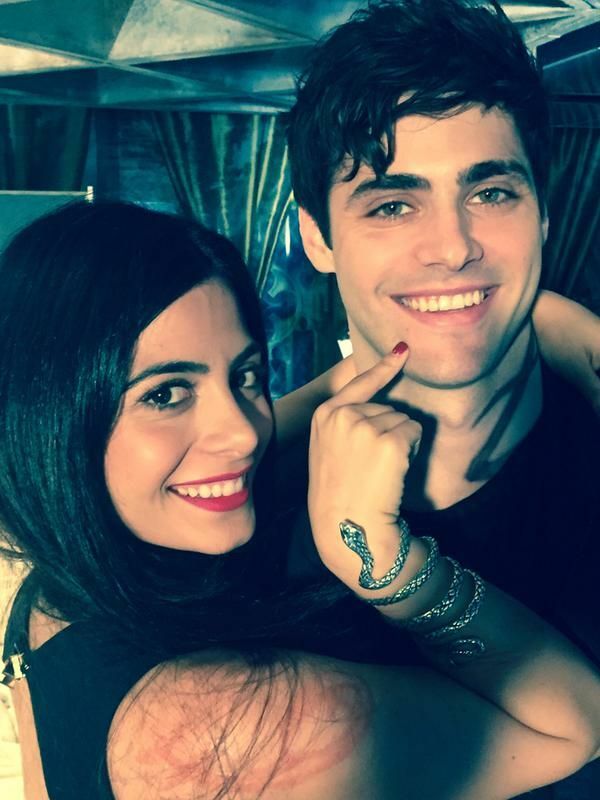 Alec and Izzy Lightwood!!! They are fiercely loyal and I love them so much already, so definitely them! 7. MOTHER HEN: Which character would you want to be by your side when you’re having a bad day to cheer you up? I think I want Sam from My Life Next Door, she is kind and understanding and mostly put together. She’s always in a good mood, especially when she is with other people, so yep, her! 8. THE COUNSELOR: Which character would you go to for relationship advice (or) confide a secret to? Can I just say Anna from Anna and the French Kiss again, because she is nailing her relationship with Etienne! I don’t know who to go with! I think I should just pick someone at random, because I love all my book people! Bellamy from the 100 it is! He’s a mess, but whatever, I don’t think you can argue with that! In the end, I guess I had a lot of similar answers to Cristina, but I used them on different categories … so, that sort of counts, right? I loved how you used a pair of siblings as your surrogates. Wish I would’ve thought that creatively! Thank you so much for doing my tag!! I just noticed not enough books focus on friendship and I wanted to highlight it! I’m glad you had fun. That would be awesome! Are you a fan of Morgan Matson? Because Since You’ve Been Gone has a little romance, but is more about friendship 🙂 E. Lockhart has a couple of friendship-topic books as well. I really enjoy those! No problem! I hope you have fun! Thanks! And really? I think if I were in his circle of friends, I could trust him. If I were Feyre … then not. But I am assuming that we are friends and in that regard I think he’d be loyal. 😋yes, I would think so… I wanted to grow up with him, remember?! But he had his doubts about helping Feyre……. Yeah, but Feyre was human and he didn’t know or trust her because she had killed one of his friends … that does make sense, right? I am counting on it! I would be really sad if it didn’t happen. devastating. I need Lucien to be happy!!! Yep, I am with you on that one! Hahaha once again, we have proven that we think very alike then! Cristina tagged you as well, right? I can’t wait for your answers! Thank you for tagging me! This seems so fun! And with that Bellamy gif, who wouldn’t want a little chaos? 😉 haha! You’re welcome! I hope you have fun with it! Don’t tell me that! I ship them sooo much! I just can’t! There must be Bellark moments in the third season! I ship them too, but they aren’t even at the same place right now … I am annoyed how much they are dragging that out. Awesome answers! I particularly agree with you about Alec and Izzy! And yes a million times to Lola, Isla and Anna’s friendship! Thank you 😀 Very happy that you agree! I really, really need to read Fangirl sometime soon…. Great answers! Fangirl is awesome 🙂 and thanks! I am trying my best. Number 4’s image is basically my relationship goals. Thank you! I am glad you agree 🙂 bookish friends are the best. Yeah, Lucien is for sure the right one to get into some mischief with. The Anna/Lola/Isla gang is friendship goals 😀 The gang in the first book is too though. Their friendship is so realistic! I totally agree. I love those books to bits and the friendship was a main part of that. Oh you studied abroad? That’s so cool! I did! I am from Austria and when I was 15, I spent 6 months in the US. And about the time I turned 17, I spent 3 months in France.